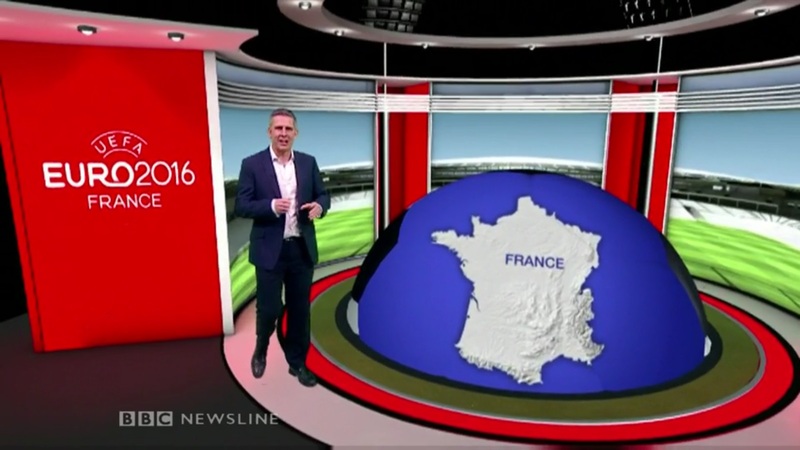 “BBC Newsline,” the flagship news broadcast of BBC Northern Ireland, debuted a new set this week. The set, which is from Jago Design, incorporates the traditional BBC China red via backlit panels in the set’s substantial header, which also includes silver toned elements. 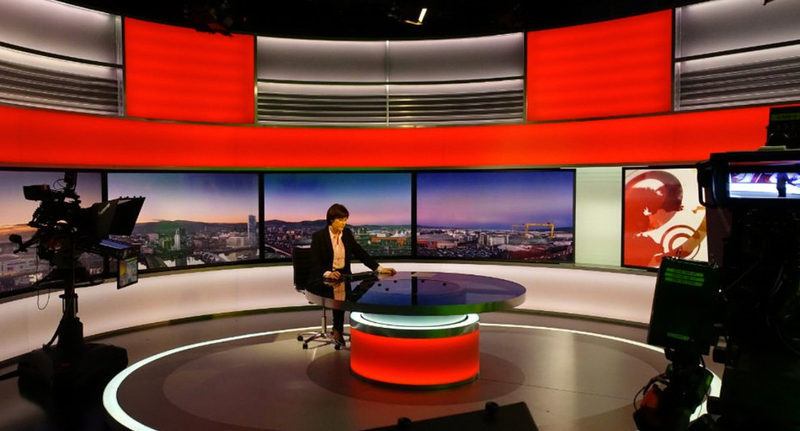 Under the header, a curved line of flat panel screens are used to create the appearance of a panoramic skyline and other graphics, while the smaller round anchor desk also is also internally lit in the trademark red hue. In addition to the hard set, “Newsline” also uses a virtual area, as shown in this screen capture courtesy of Drew at TVForum. This area features the same red tone as well as a circular motif.